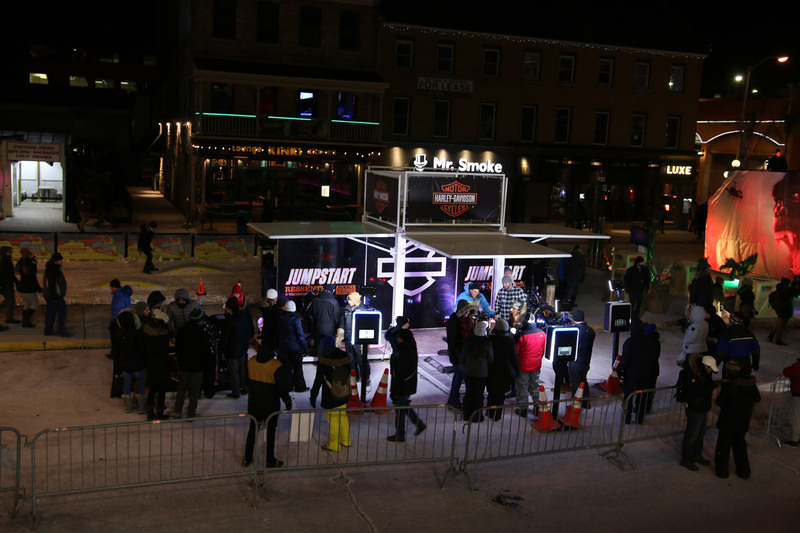 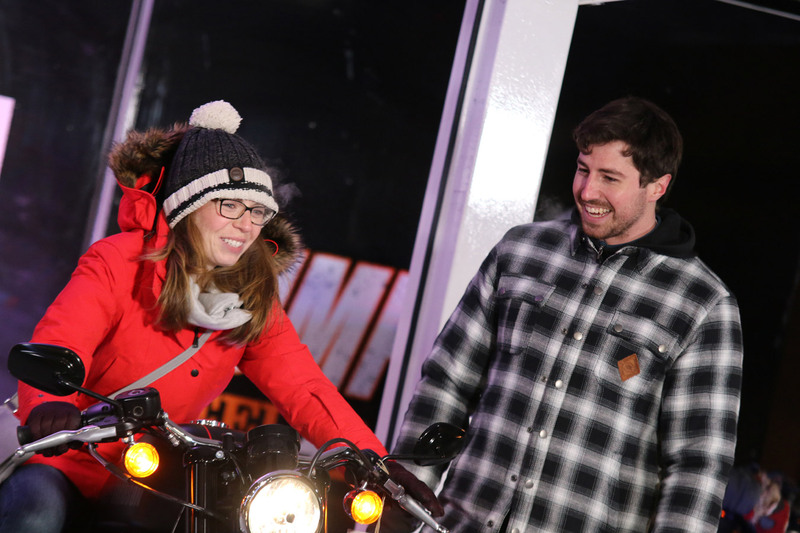 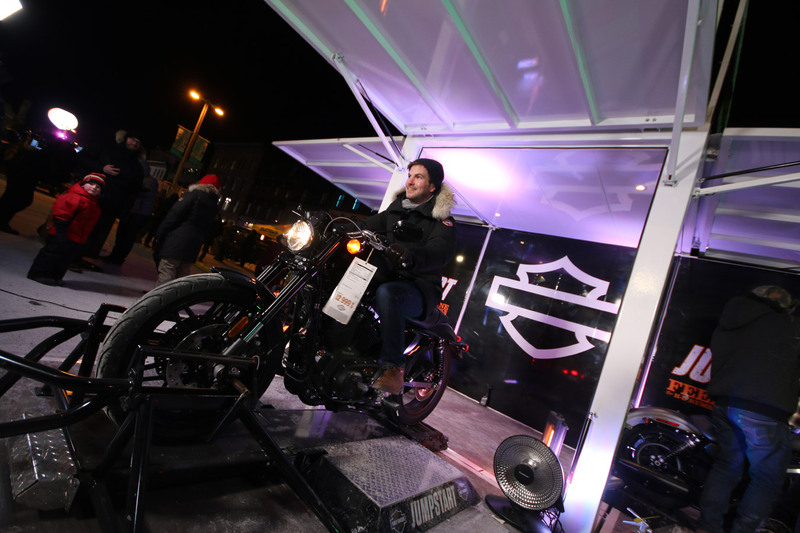 When the best extreme ice skaters on the planet converged on Ottawa for Red Bull Crashed Ice 2017, the excitement – along with a whole lot of testosterone – was palpable. 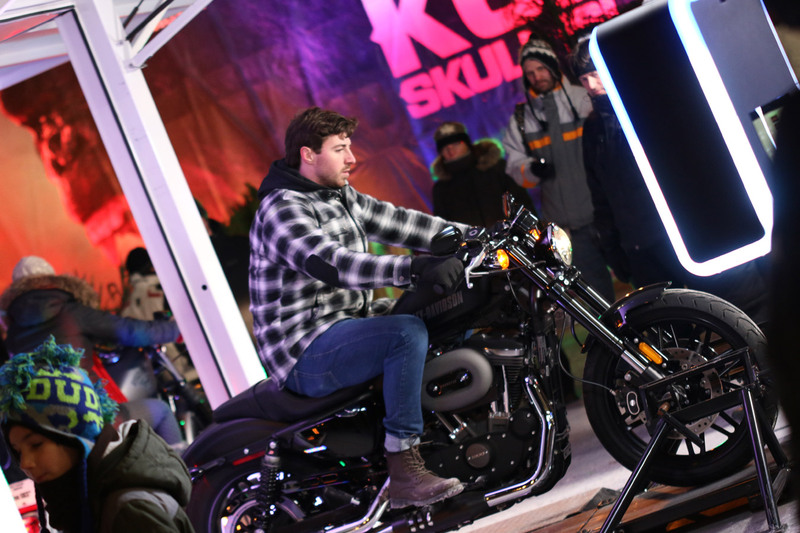 The international downhill ice-cross event drew close to 28,000 spectators who, despite the bitter cold, managed to stay warm stoked on adrenaline and the speed, thrills and spills of one of the world’s fastest, most electrifying sports. 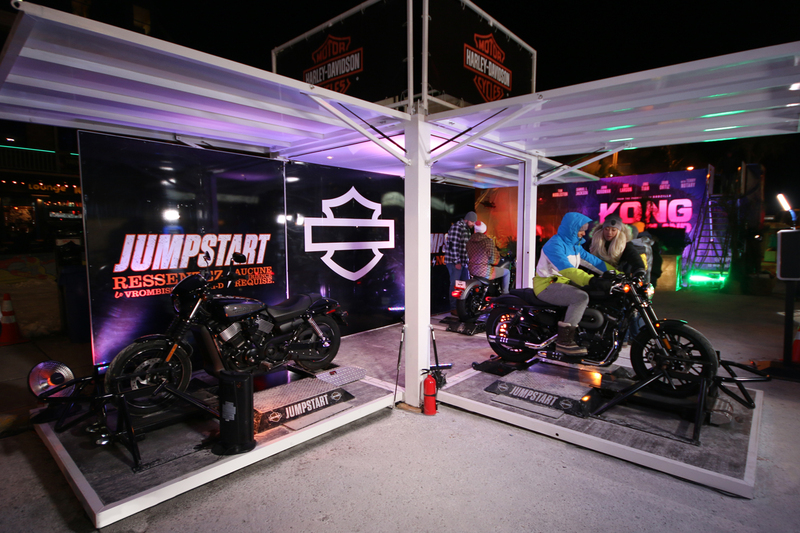 The affinities between the pumped-up crowd and the most iconic motorcycle brand in the world were unmistakable. 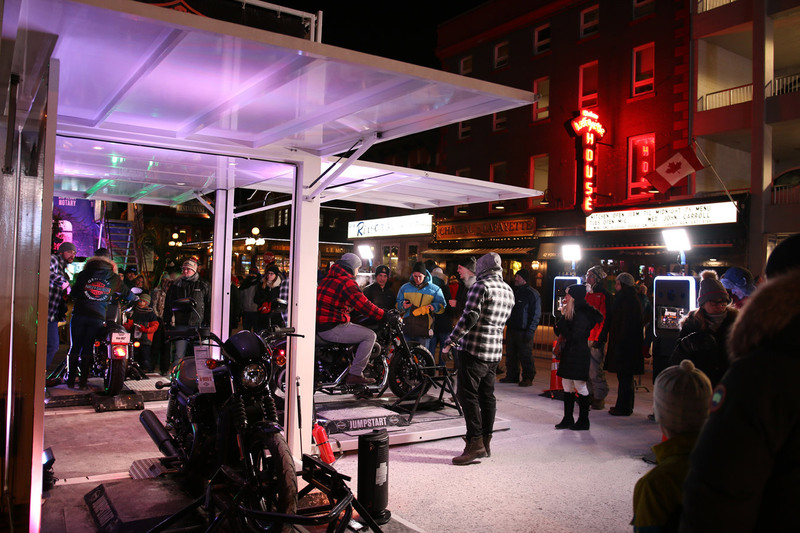 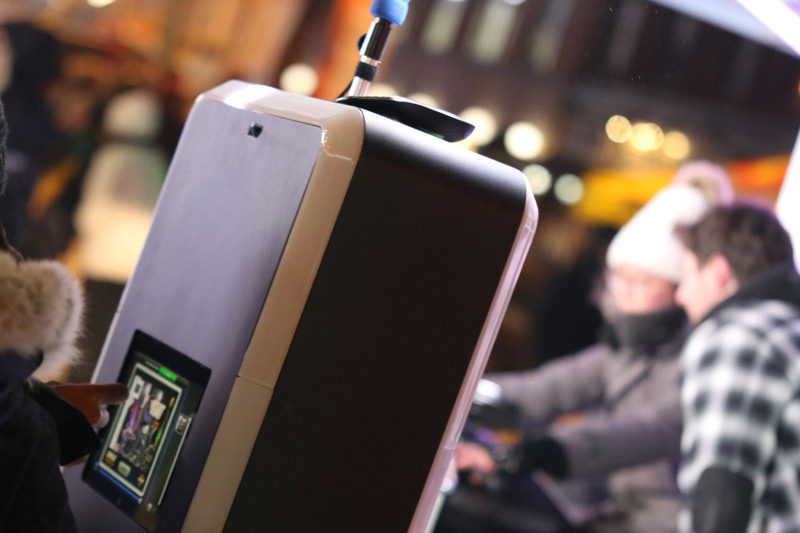 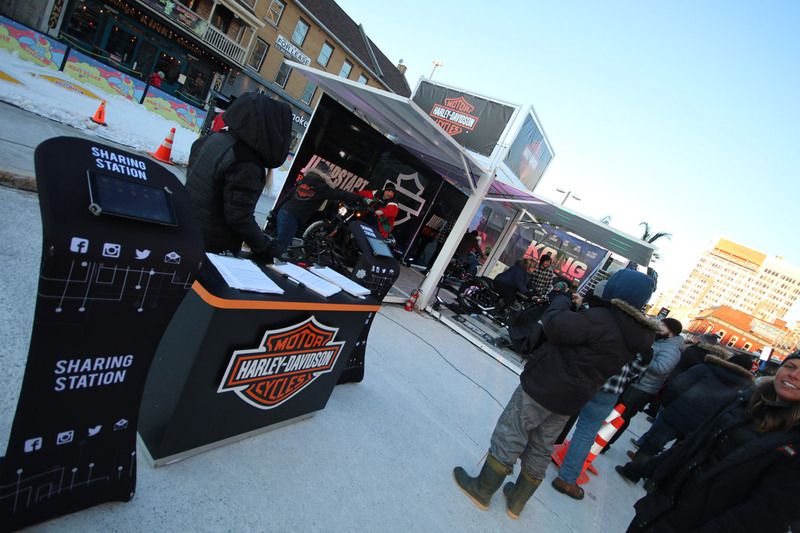 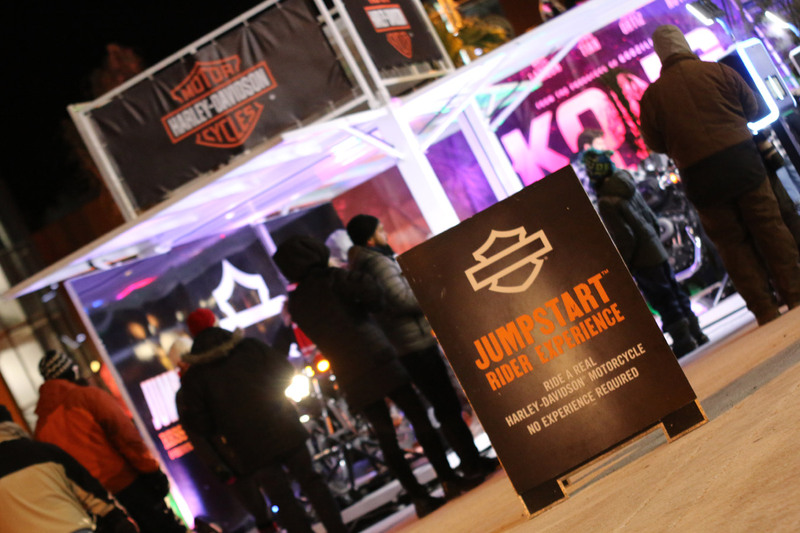 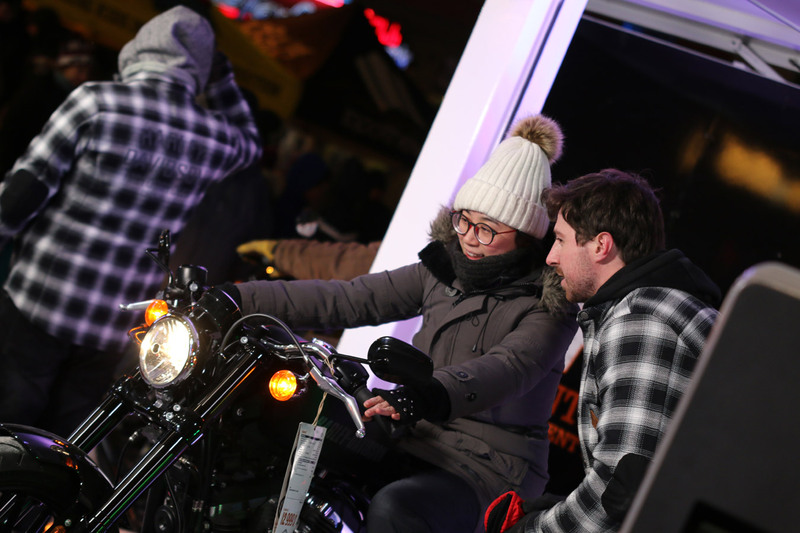 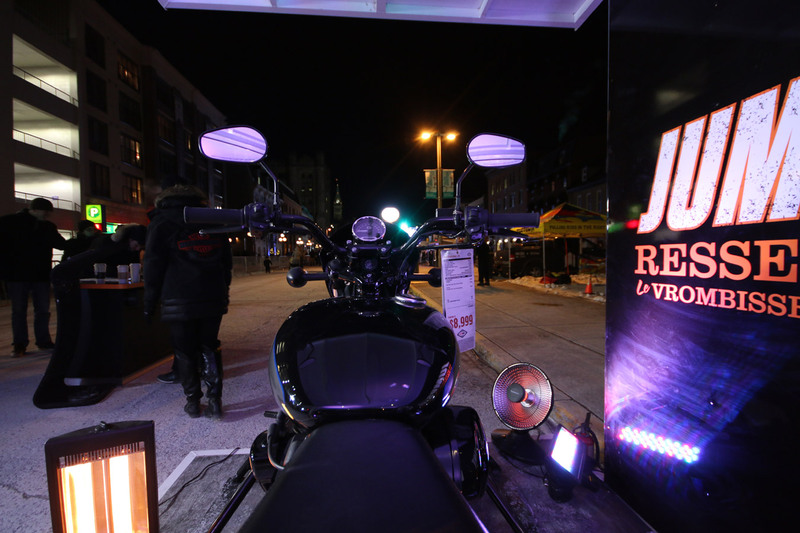 Harley-Davidson set up shop on the event grounds with a mobile LB8 kiosk from Loki. 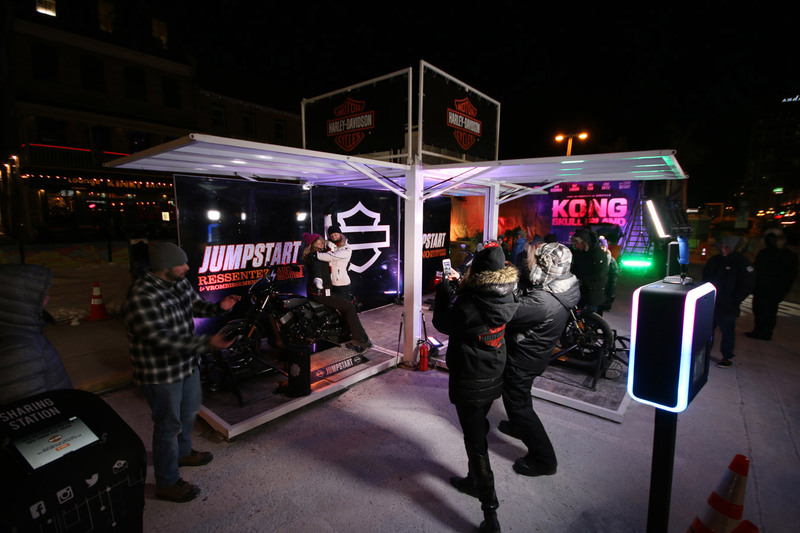 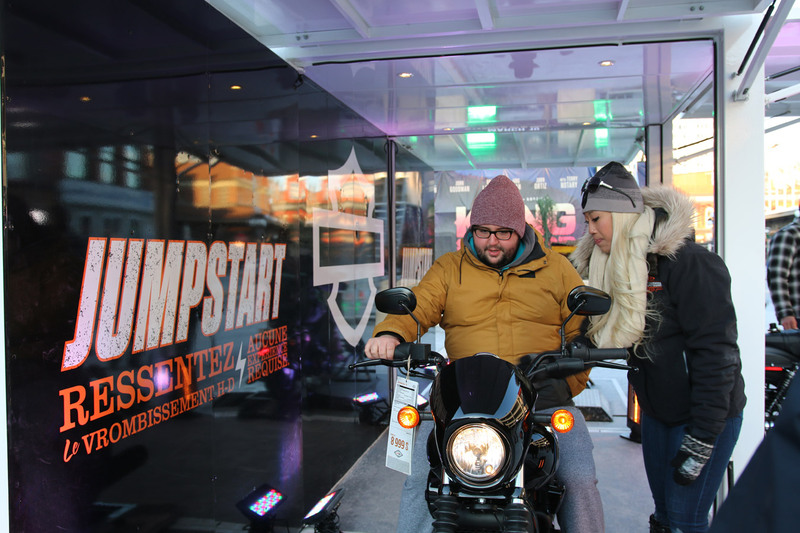 To top off the adrenaline-charged atmosphere of the ice-cross race, three Harley-Davidson bikes were mounted on racks, letting ice-cross fans mount up and crack open the throttle, just to see what it feels like to straddle all that American steel and horsepower. 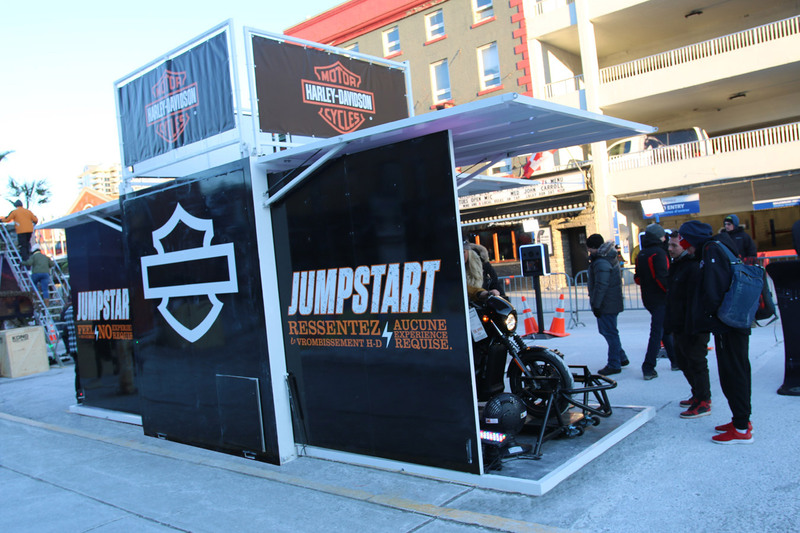 It would be difficult to design a more effective product demo for giving prospective bikers the feel of riding a Harley… especially those without a motorcycle license! 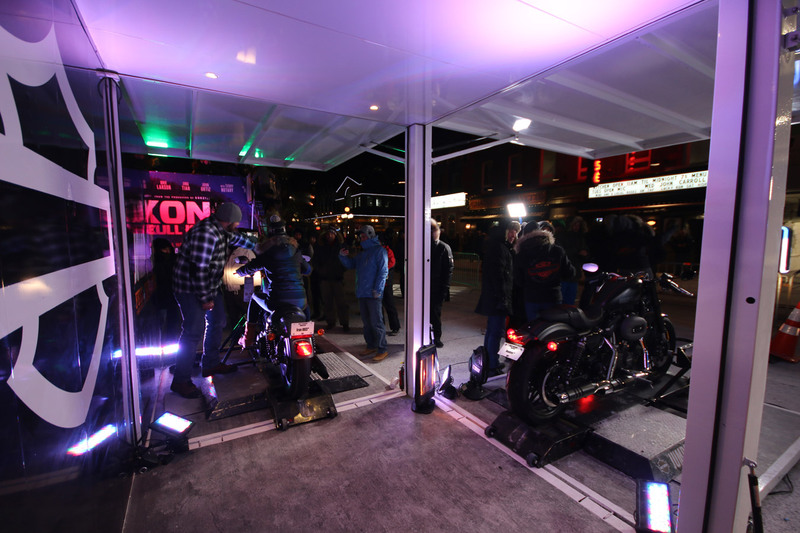 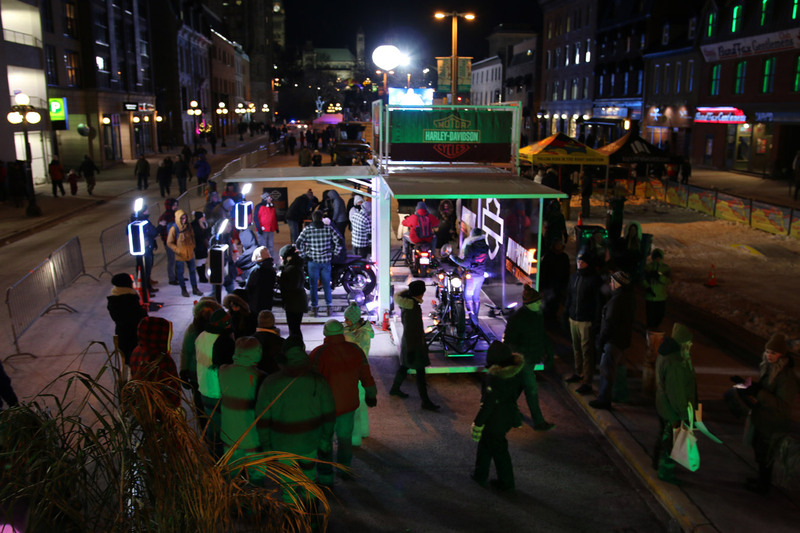 The LB8 unit performed as intended, providing a pared-down showcase to highlight the bikes and the riding experience. 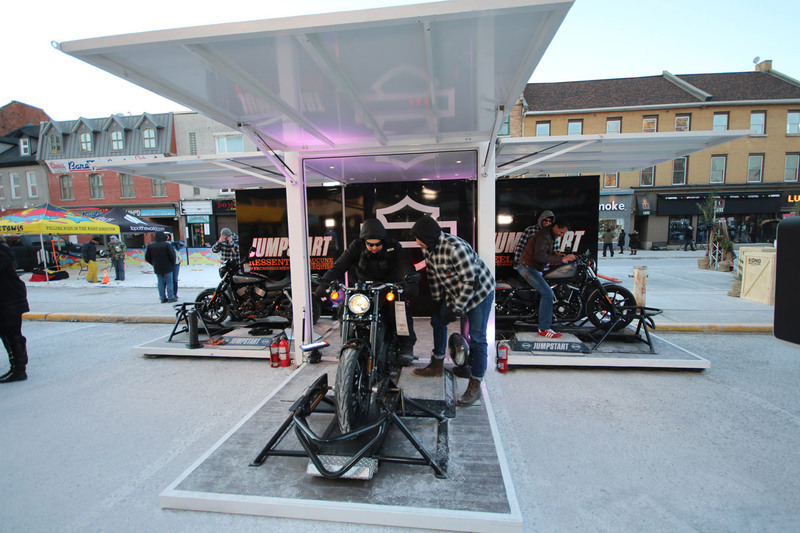 Three wings, three bikes and just enough roof to keep the saddles dry and the bikes presentable… while leaving plenty of open air to vent off copious amounts of exhaust !